The Traditional 1903 collection features period styling that provides a luxurious feel to everyday life. 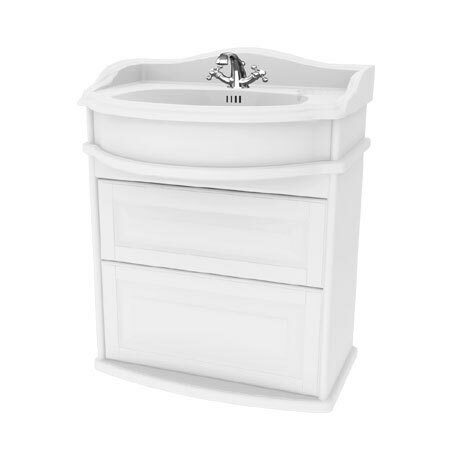 This 65 wall hung two drawer vanity unit has soft closing drawers with plenty of storage space for toiletries. The unit is fitted with mounting rails and brackets for adjustable and quick installation and comes with a pair of tin finished handles that adds a rustic touch to this classic unit. Made of MDF and solid birch. Back boards are made of painted or foiled panel materials.